The symptoms of this widespread disease which we have yet to find the cause of are specifically strong, and for most patients the doctor will be able to make the diagnosis in the clinic or at the hospital. There are no specific blood tests, nor is there the possibility to confirm the diagnosis via a brain scan. If there is no response from the patient on drugs used to treat Parkinson’s disease, the possibility is that a different type of movement disorder is present which causes the same type of symptoms. In these cases, additional tests by the doctor can help find what problem is causing very similar or the same systems. When it comes to treating Parkinson’s disease, the majority of clinical treatments have the goal to restore the balance of neurotransmitters acetylcholine as well as dopamine. And this is done by increasing dopamine levels. This cannot be done directly, as the brains natural defence will stop it from being used by the body, which is why often a drug which stimulates the brain to produce the dopamine when digested is used. Conventional methods are to the vast majority thought drugs. 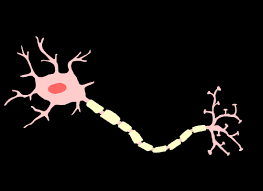 An ill effect in levodopa, one of the most commonly used drugs to treat Parkinson’s disease is that is loses its effectiveness over time. This is of course also the reason to why many doctors do what they can to postpone starting the patient on such a drug. There is ongoing research to find out why, and battle the loss of effectiveness in this drug, however due to its effectiveness, holding off too long can also be a negative. Often drugs to treat Parkinson’s disease is taken in conjunction with drugs which prolong the effectiveness of the relief for the patient. What’s important to keep in mind is that each case and each person is different, and treatments vary as does results.